This is an important book for creatives. 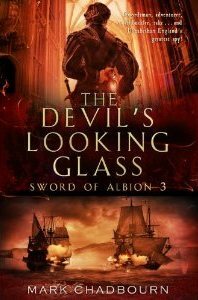 It talks, in very clear terms, about ways to achieve the Flow State, that period when the world falls away and you’re lost to a rush of pure thought and inspiration. When you achieve Flow, you feel like you can write, or paint, or create music, forever. But it’s incredibly elusive. Getting it is hard. Holding on to it for a sustained period is even more difficult. 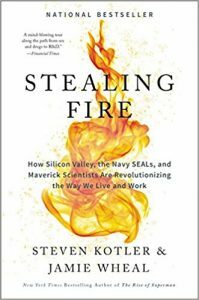 As the subtitle of Stealing Fire suggests – How Silicon Valley, the Navy SEALs and Maverick Scientists Are Revolutionising The Way We Live and Work – authors Steven Kotler and Jamie Wheal have done their homework. They provide a range of new research, thinking and practise across several disciplines. Anything which manages to pull together how the NAVY SEALs train, elite athletes, the Burning Man festival, and tech entrepreneurs micro-dosing with LSD, is anything but ephemeral in its approach. The book is about how to hack your mind to produce the best results, and the authors suggest several approaches, some of which you might wish to consider, some which may seem a step too far (but which are working extremely well for many high-performing individuals). Kotler and Wheal are talking about achieving ecstasis, ‘stepping outside oneself’, and trace it back two thousand years to the initiatory rites of the Eleusinian Mysteries of Ancient Greece. It’s not all dry theory. They manage to interview a range of really interesting people who are putting these practices into effect and transforming their lives and environment in the process. And it’s not just for creatives. Stealing Fire is very much a book about the 21st century, the changing world we live in, and the changing nature of the people who inhabit that world. There’s also some interesting work reported from trauma studies, about how the techniques discussed here can help mend what’s broken. The same techniques, practiced regularly, can ‘nurture what is best in ourselves,’ and ‘cultivate the exceptional’, according to the scholar Alan Watts. If you enjoy Tim Ferriss’ books about how to adapt and thrive in the modern world – The Four-Hour Workweek, The Four-Hour Body – you’ll undoubtedly enjoy this.